We know you're going to miss summer but autumn is so much better! The colors, the weather and of course the clothes! This is your chance to wear those long dresses that you like so much without the suffocating heat of the summer. This particular style of dress can wear it at day and night with heels, flats or sneakers, it's really comfy and so stylish like you're naked or something, this kind of the dress is one of my favorites to wear it in Fall with a cool jacket and my sneakers. 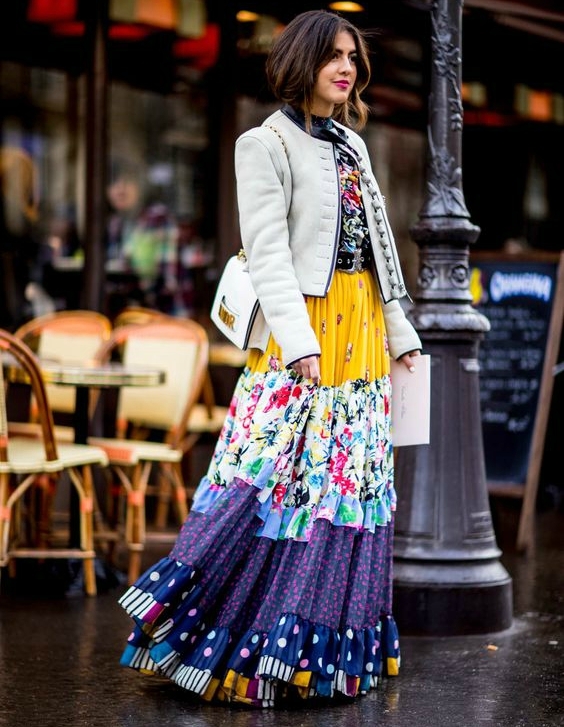 We have seen many street style inspirations with this particular dress and girl, we just fall in love all over again, you can find really good options pretty much anywhere. We have chosen some options that are perfect for your day to day without looking too casual from FashionMia down below! This option is so romantic, you can wear this dress in any season, the flowers are always a trend, don't wear it only in spring, flowers are timeless! - Shop this dress here for only 27,95! More women's plus size dresses. Polka-dots is pretty much a basic print that every woman should have in their wardrobe, as a top, as a dress, pants, shorts, accessories, bags, this print is really versatile! - Shop this dress here for only 16,95! 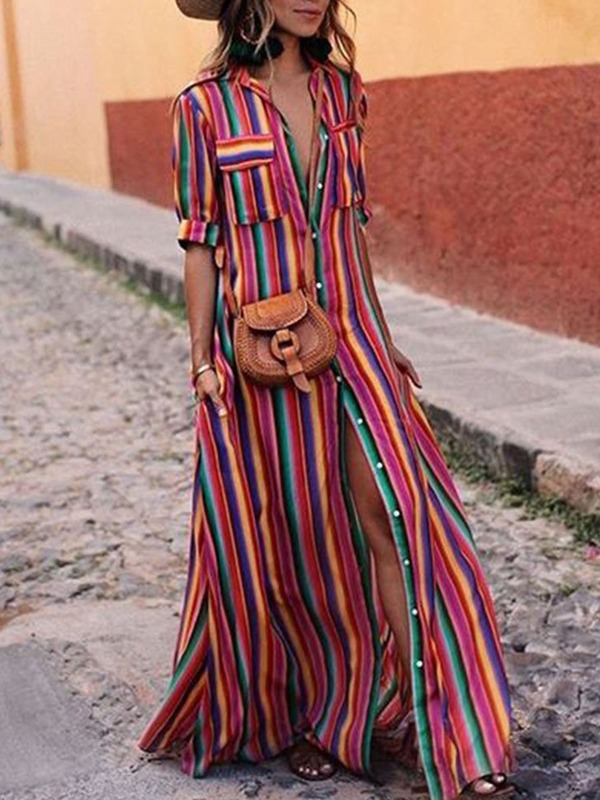 Rainbow colors are IN again for fall, this long stripe makes you look even taller and slimmer, you can show some leg without freezing or looking too casual, that depends on how you style it, which accessories you're going to wear - Shop this dress here for only $24.95! More dresses for women. Pastel Colors are not just to wear in spring! If you're tanned this color suits you! the color is adorable and chic for any occasion - Shop this dress here for only 19.95! And the last but not least, the most important to me is this navy blue long dress, is just what you need and you can wear it every day darling and you'd look super chic, promise - Shop this dress here for only 23.95!